An ongoing campaign aimed to increase search engine results page presence for search terms related to local bike rentals. Since Bicycle Depot is one of the only shops in the area that rents bikes, I want Google search results to reflect that. As part of this campaign, I wrote a blog post about where our rental bikes can be ridden. I rode these places myself, took photos and put together a 625 word article which I posted to Facebook and Twitter on Friday, May 30th. 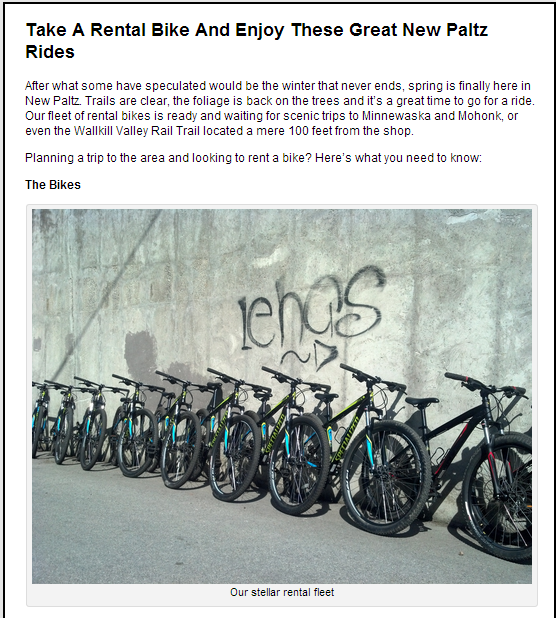 The article as it appeared on the Bicycle Depot blog. 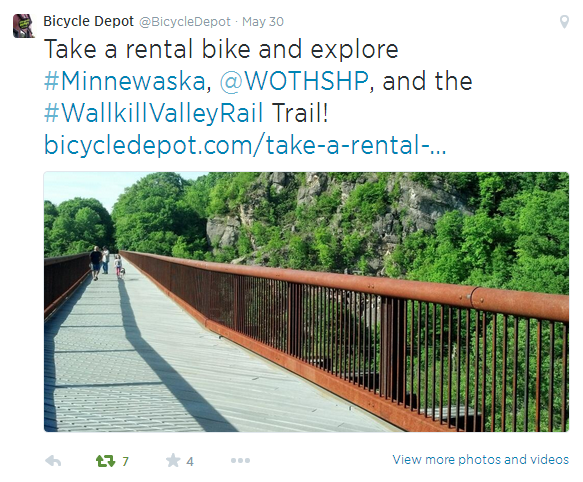 On Twitter I posted a link, a photo and mentioned Walkway Over The Hudson State Park (@WOTHSHP), also using the hashtags #Minnewaska and #WallkillValleyRailTrail). The tweet garnered seven Retweets and four Favorites. Among the retweeters included Walkway Over the Hudson and New York State Parks. Retweets pushed the post out to a combined audience of over 10,000 people. The four Favorites garnered an additional 1,000+ potential impressions. 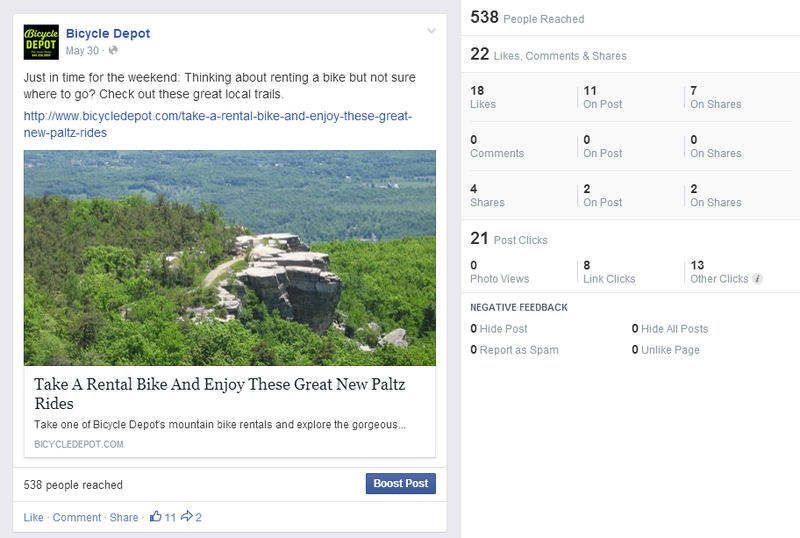 How the post appeared on Facebook, with native analytic data. The blog post was also posted on Facebook where it earned an organic reach of 538 people, through four Shares and 18 Likes. It’s worth noting that Bicycle Depot had less than 350 followers at the time and the majority of views came from Shares and secondary Shares which achieved a click through rate of 3.9%. Why was this post successful? 1. It is relevant to a wide audience of cyclists, both local and visiting. 2. The photos and copy are 100% original content, created specifically for this article. The photos are stunning enough to grab readers’ attention and the article has informative copy to accompany them. 3. It had an intended goal (to promote bicycle rentals), but was informative enough to engage riders who already own bikes. 4. It raised awareness about the availability of rentals through content marketing and without a blatantly obvious sales pitch. 5. 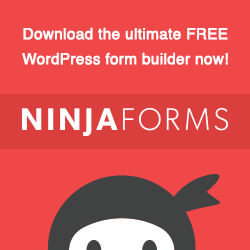 It engaged stakeholders with a larger audience, who (because of the quality of the content) shared it. 6. It was promoted on social media with relevant hashtags, imagery and links during times when users are most likely to be logged on.